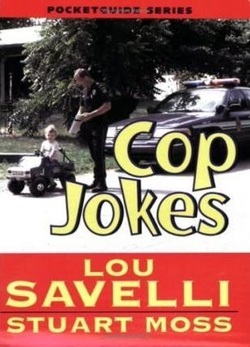 Lou Savelli’s active law enforcement and training career spans over three decades in which he has combatted street criminals, gangs, drug gangs, drug cartels, organized crime and terrorist organizations. He is one of the most highly decorated members of the NYPD in its history. He retired in 2004 as the detective squad supervisor of the NYPD Terrorist Interdiction Unit, responsible for identifying and investigating Al Qaeda and other terrorists threatening the United States. As a supervisor, he was chosen by NYPD Police Commissioner William Bratton as one of the Top 10 of NYPD's most effective leaders of all ranks (out of nearly 20,000 qualified supervisors in NYPD) and the first supervisor featured in NYPD's Leadership Training School Newsletter because of his innovation and success in the field of crime-fighting, leadership and policing. Lou Savelli created NYPD’s first citywide gang unit called CAGE (Citywide Anti Gang Enforcement) which was awarded the National Gang Crime Research Center’s award for The Most Effective Gang Unit in the US. He was awarded the National Gang Crime Research Center’s Thrasher Award for Excellence as a Gang Unit Supervisor. He has received awards from the FBI, DEA, ATF, Dept of Treasury, US Attorney's Office, US Department of State, Los Angeles Sheriff's Department, Ontario Provisional Police (Canada), Caribbean Law Enforcement Agencies, Milan (Italy), New South Wales Australia, New Zealand, Mexico, Thailand, and many other law enforcement and government agencies. As a narcotics detective, targeting Colombian and Mexican Drug Cartels, he and his unit were responsible for the World’s Largest Single Cash Seizure in a Drug Case($20 Million) which held as a record until 2007 but still remains as the largest cash seizure in US history. He has also seized several thousands of pounds of cocaine and heroin, over $100 Million in cash, and over a thousand illegal firearms. Lou has also conducted successful investigations into organized crime auto theft rings in NYC, including one case that resulted in the recovery of millions of dollars worth of stolen cars, 35 machine guns and thousands of rounds of ammunition. Lou Savelli has been conducting high-level investigations since 1985, mostly involving drug investigations, gang investigations and terrorist investigations. He has been a member of, and supervised, multijurisdictional investigative teams with members from the FBI, DEA, ATF, HSI, ICE, IRS, Secret Service, and other Law Enforcement agencies. He has been instructing law enforcement officers on crime-fighting and investigative tactics in his spare time since 1998. He is the lead instructor for the Physical Surveillance class, Street Gangs, Advanced Gang Investigation, Narcoterrorism and Prisoner Interviewing at the Midwest Counterdrug Training Center (MCTC) since 2006, the Northeast Counterdrug Training Center (NCTC) since 2001, NY/NJ HIDTA (High Intensity Drug Trafficking Area) for the past 20 years, as well as other training academies. Lou Savelli has conducted numerous successful targeted investigations on a variety of criminal organizations, including the Cali-Colombia Drug Cartel, Medellin-Colombia Drug Cartel, Mexican Drug Cartels, International Money Laundering Cells, Dominican Drug Cartels, Israeli Organized Crime, La Cosa Nostra (Italian Organized Crime), Russian Organized Crime, YACS (Yugoslavian, Albanian, Croatian and Serbian) Organized Crime, Jamaican Posses, Al Qaeda Terrorists in the US, Hezbollah Terrorists in the US, Hamas Terrorists in the US, Iranian Narcoterrorists and other criminals. 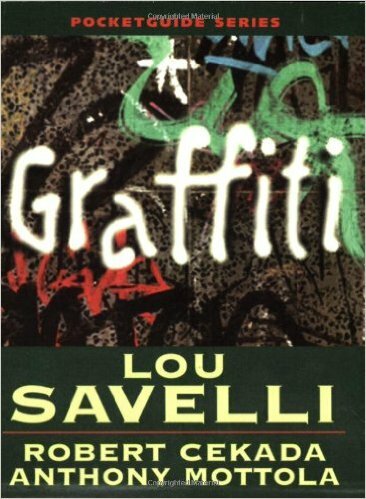 Lou Savelli has consulted on such television shows as Third Watch (NBC) and One Life to Live (ABC), Johnny Zero (FOX), and provided intricate authentic information to television shows such as New York Undercover. He can be seen on the documentary series Homefront Americawhich examines Homeland Security in the United States after 9-11-01. He was interviewed on camera, extensively, in the controversial documentary, Rap Sheet: Hip Hop and the Cops. Lou Savelli was the technical consultant for and is currently appearing on the History Channel’sGangland Series. He can also be seen on and Court TV’s Disorder in the Court, Smoking Gun’s Dumbest Criminals andother shows. He was recently featured on the History Channel’s Secrets of Body Language where he exposed the Characteristics of Armed Suspects and other Danger Signs. 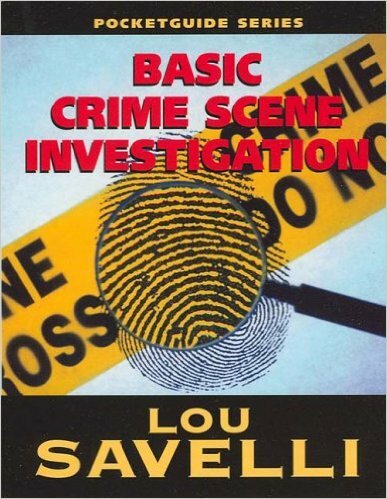 Lou Savelli is the author of over a dozen published books, several true crime short stories, and numerous articles relating to issues such as terrorism, gangs, criminal investigation, identity theft, and crime prevention. He will soon be releasing several new books later in 2016. Lou Savelli is a frequent consultant to hundreds of law enforcement agencies each year, throughout the United States and abroad, seeking advice on how to successfully identify and fight crime in their own cities. Each year he visits dozens of police agencies across the US and spends time on patrol with drug and gang units in the streets providing expert advice on crime-fighting strategies and investigations. He is a frequent book reviewer for the FBI Bulletin and has written articles for American Police Beat magazine, GFORCE Magazine, GangEnforcement.com, PoliceOne.com, PoliceLink.com, POLICE Magazine, GangsAcrossAmerica.com, Corrections.com, and the National Alliance of Gang Investigators Associations. Lou Savelli is the cofounder and current Deputy Director of the East Coast Gang Investigators Assn, and a member of many gang association across the US and other associations, networks, and organizations He is a long standing member of several fraternal and law enforcement support associations such as National Police Defense Foundation, Fraternal Order of Police, and International Police Association. Lou Savelli currently holds membership in professional law enforcement and security associations, to wit: International Association of Chiefs of Police (IACP), American Academy for Professional Law Enforcement (AAPLE), American Society of Industrial Security(ASIS), and International Law Enforcement Educators and Trainers Association(ILEETA). Lou Savelli and his carefully chosen law enforcement instructors provide several training courses each year for the Northeast Counterdrug Training Center, Midwest Counterdrug Training Center, Regional Counterdrug Training Center, RISS Networks, and many other training academies throughout the United States. Lou Savelli and his instructors have been extremely successful in providing state of the art ‘reality’ training to small and rural agencies, as well as larger law enforcement agencies. 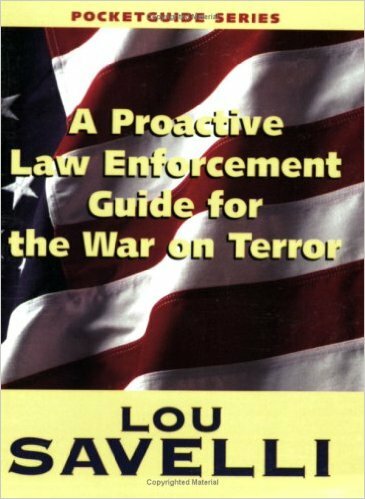 Lou Savelli retired in 2004 as the Detective Squad Commander of the NYPD Terrorism Interdiction Unit which is a proactive counter-terrorism unit aggressively targeting al-Qaeda and other foreign terrorist groups in the United States. He has personally developed, during his interdiction and investigation efforts following the events of 9-11-01, a highly successful Interviewing technique called The Tactical Debriefing Method© which is currently being taught by Lou and his instructors at the Federal Law Enforcement Training Center (FLETC), Midwest Counterdrug Training Center, Northeast Counterdrug Training Center and other academies across the US. Lou Savelli was recently awarded ‘Instructor of the Year’ for the Northeast Counterdrug Training Center (NCTC). He is a veteran of the rescue and recovery effort at the World Trade Center resulting from the attacks on 9-11-01. He is the President of Homefront Protective Group (www.HomefrontProtect.com), a law enforcement training provider that has trained tens of thousands of law enforcement officers across the US. He is also the President of Homefront Security (www.HomefrontSecurity.us.com), a private investigation and security provider with offices in West Des Moines, IA and New York City.